Ervin Bateman, a sixth generation Outer Banker and local restaurant owner, ran for the Dare County Board of Commissioners as a Democrat, and won. But he doesn’t believe in political labels on the local level. 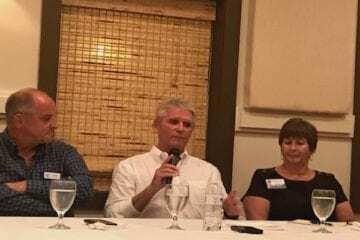 Bateman, a Kitty Hawk Town Council member and owner of Sugar Creek Restaurant, faced Republican Anne Petera of Kill Devil Hills for the seat left open by the retirement of Commissioner Jack Shea. He took 51.95 percent of the vote to Petera’s 46.08 in a midterm with unusually high voter turnout. Despite his non-partisan beliefs, he’s the first Democrat to win a contested election to the Board of Commissioners since 2012, when Allen Burrus defeated Kevin Conner. Bateman says he waged a successful campaign for office the old-fashioned way, by door knocking. He estimates he talked to 400 to 500 business owners and residents leading up to the election. Bateman’s campaign platform focused on good fiscal stewardship, supporting the area’s tourism and commercial fishing industries, beach nourishment, open roads and inlets and expanding the College of Albemarle for job training and trades. He is also committed to tackling the opioid crisis in Dare County, an issue close to his heart as a member of the recovery community. Bateman wants to create a drug rehabilitation court, where non-violent offenders are offered court-monitored treatment, education and training in exchange for charges being dropped after successful completion. There are currently more than 3,000 drug courts across the country, according to the National Association of Drug Court Professionals. One study found recidivism rates for those who completed drug courts was 18 percent, compared to 44 percent for offenders processed through traditional court systems. Dealing with addiction of any kind, whether drugs or alcohol, “is going to benefit everyone in the community,” he said. Bateman will be sworn in as the at-large commissioner on Dec. 3, the same day as his last Kitty Hawk Town Council meeting. His seat there is up for election in December 2019. At Monday’s Town Council meeting, council members decided to appoint a replacement for the rest of Bateman’s term should he win the election. Applications are being accepted at the Town Clerk’s office through Nov. 28. How can one claim to be non-partisan and then run under a party banner? Surely one would run as an Independent. Additionally he spoke to around 500 ‘business owners’ or residents? That is not a very large percentage of the population of Dare County and ‘business owners’ only have a vote if a resident, therefore why differentiate? I know I am just an old cynic but, his comments don’t pass the ‘smell test’. I agree with Mr. Bateman. Strictly local issues should be voted on and decided on strictly local considerations. Their passage and failure, election or defeat should not influenced by “top of the ticket” personalities or other national issues. This is especially so when it comes to school board elections. Most NC school boards and board members were not in favor of politicizing school board races. But our “tin eared” state legislators mandated otherwise. It is a disservice to our local communities and to our students. Erwin wants to be non partisan? Why? Does he not believe every woman needs to be believed like Kamala Harris says? Does he believe that the national economy which has climbed out of the hole dug by Obama policies was not rising because of Trump policies?Is his business not increasing in profits due to more folks enjoying the Trump bump in the national economy? Being a non partisan in 2018 says gimme GOP ice cream and not any Democrat crap. Erwin why don’t you want to claim any Democrat craziness? Mr. Harris, you’re actually bothered by the fact he not embracing your poisonous partisanship. You fail to see the error in your polarizing views and it angers you to have people think differently. The suggestion that the economy is rising simply due to Trump and not a continuation of what was previously a gradual rate has only increased slightly and that is due to more borrowing and risky at best policies, there is nothing conservative about that. 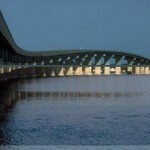 To add, without subsidies to support bridges and flood insurance the OBX economy would implode. The barrier islands are indeed a major recipient of welfare and could not exist at this level without it. You can play team sports but lets not pretend you are a conservative. Ervin is interested in fixing problems and serving the community. Take your Obama, Trump stuff somewhere else. We need more public officials to take a pass on cable tv issues and get to work for the people who elected you. Ervin will do just that. @ James Harris. Google “Unemployment 2008-2018”. You will notice a linear (thats a straight line) decrease from then to now. Also Google “Stock Market 2008-2018” You will see the same thing in a linear increase in the market. Maybe see an allergist before checking these to make sure you’re not allergic to FACTS first. Davey J and others, you want to put labels on me. I am not “angry” at what the democrats have done to themselves and the Nation as a whole. Disappointed, yes, I just can’t quite get my head around the actions of progressives that are embracing the actions and words of those who are portraying themselves as leaders of the democrats. These are the folks who say Trump can do nothing right, and every hair-brained outlandish claim must be true if it goes against Trump. If Trump was found “walking on water” they would claim Trump can’t swim. My fellow conservatives and myself see the democrat plans pushed forward only to be crushed by logic and common sense. Time after time.There are few if any democrats who have won their races who will say Bernie and Hillary set the course they are now following and look up to them for inspiration. Nope even Erwin is saying he wants to be bipartisan. Shame he won’t stand up for his party that elected him. @All who posted…what a refreshing thread. Where almost all posters have refused to revert to partisan rhetoric and are supporting OUR community and a newly elected comissioner. If only the rest of NC and the country could act accordingly. I applaud each and every one who has made clear in this thread that partisanship has no place in the welfare and well-being of our community!! Well spoken each and every one of you!! I couldn’t agree more with Mr. Bateman and the majority of people posting here on the Voice. Putting an R or D behind your name does absolutely nothing to help with local issues. Yes, campaign financing from political parties can benefit individuals/candidates who seek those offices; but that’s about the only benefit. School Board, County Commisioner’s, Mayors and especially judicial elections should be free from partisanship. Let the issues guide/control the elections!! It is unrealistic to expect to be involved in public service and/or receive the result of tax revenues and/or share other community allotted benefits without having an interest in settling on a partisan position which will influence those benefits – or create a restraint against that influence. As an employee of the government you care about your job. Maybe you care about your election contributor’s jobs. You certainly care about their votes. Cut to the chase: each recognized political party has a party Platform. The beliefs on that Platform are supposed to describe the heart and soul of the party and of it’s candidates. Regardless of what is espoused from the podium, it is the Platform that describes the over-arching party beliefs and goals. It lists the ideals/aspirations of each member of that party. At least in part. To ignore your chosen Platform is a shell game and I don’t buy it. I stand behind the Republican Party Platform at the state and federal levels and that is why I am a Republican. Can Democrats say the same? Are Christian Democrats ready to say they favor Democrat Platform planks that are decidedly anti-Biblical? I am curious. I honestly do not see how any registered voter can disengage themselves so conveniently from their own party as to ignore their own Platform they voted to embrace. And if you can’t agree with at least most of the Platform then Independent is a more suiting affiliation. Show me the error of my thinking. . . . I am not the only one curious, I am sure.